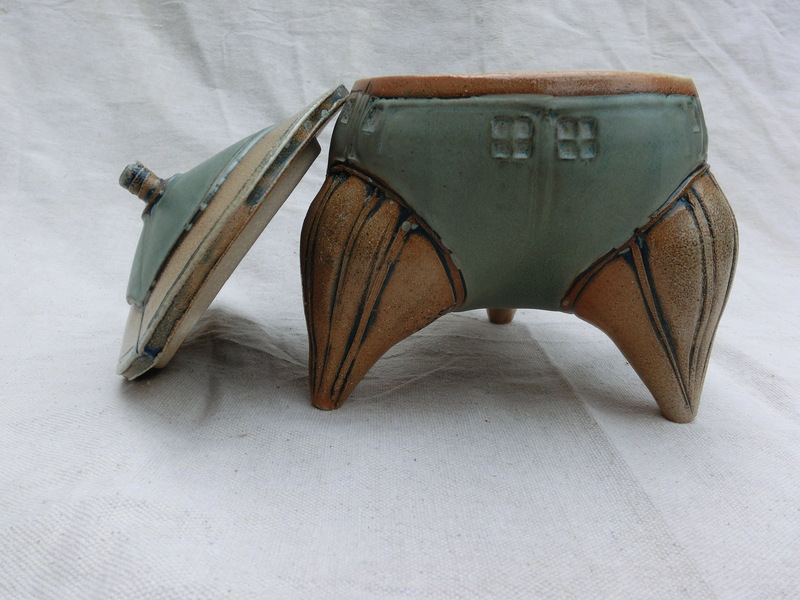 As an inaugural post for Watershed Clayworks, I choose a pot, a beautiful pot, that is not my own. I saw a piece like this one on the cover of Clay Times magazine, and fell in love. The creator is Glenn Dair, of Callanwolde Fine Arts Center in Atlanta. Communication through Facebook reveals him to be a clever fellow with words as well as clay. I see pots I love, but typically just see them and hold them, and imagine making one. I don’t buy. But I bought this one, one of just a few ever bought. At my stand at the Petworth Community Market, while the pot was still a picture in my mind and a package in the mail, I chatted with the storyteller and life coach who happened to be stationed at the next booth about my needing this one. She gave me a justification: this pot will bring energy to my next pot, so the reverse energy of the trade will work for me. 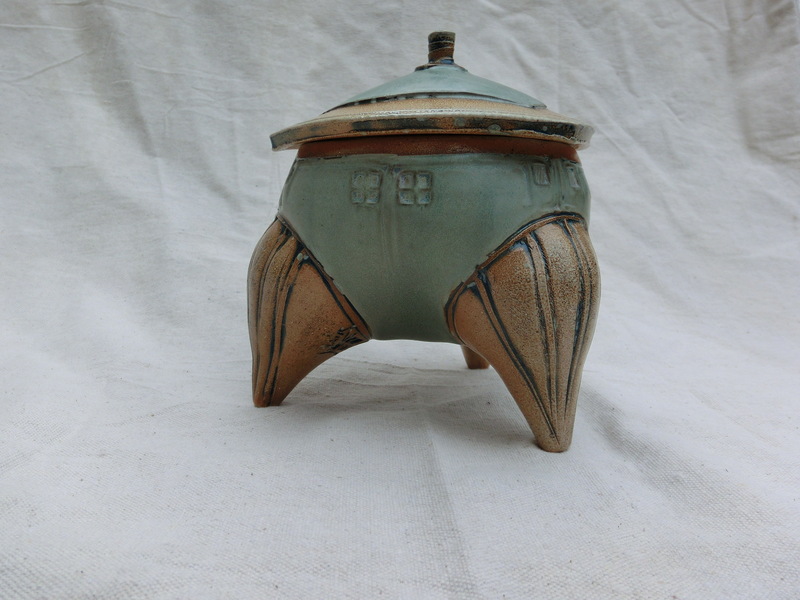 The proportions are perfect, the three glazes are matte, mottled and shiny, one of each, in muted colors. I tried to copy it (and will post that attempt later, when that pot finally appears from firing), but not realizing he threw it as one pot and shaped the legs from a larger form, I added three separately thrown cones for feet.